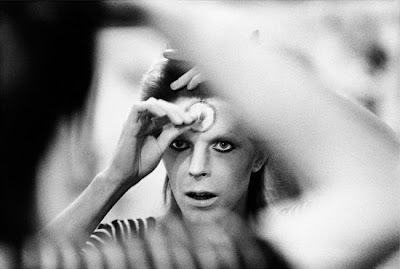 It is nice to be reminded that while it takes a naturally gifted artist to earn a position of mega fame (Bowie pun intended) and worship, it typically takes that star a few false starts, comical mistakes, and a lot of practice to make it from nobody to superstar. David Bowie is the perfect example of artistic trial and error until he gave birth to the now infamous character of Ziggy Stardust, just one of his many varying captivating personas we have grow to love over the past nearly 50 years. In celebration of the 40 anniversary of the release of the now classic Rise and Fall of Ziggy Stardust and the Spiders from Mars, I will be telling the tale of how Bowie arrived at the making of this record. This includes the creative stepping stones (and one Rolling Stone) he took to reach the iconic Ziggy figure while highlighting a genre of music and fashion he helped to spawn (glam), the songs that compose this record, the other artists who released albums in 1972, and a handful of more recent artists Bowie has worked with as a producer, songwriter, or collaborated with. Phew! Tune in tonight from 7PM to 9PM tonight to WRIR. 97.3 FM on your dial or stream us live via the website.